Please enter the name you would like on the onesie. Thanks! Mermaid Party. 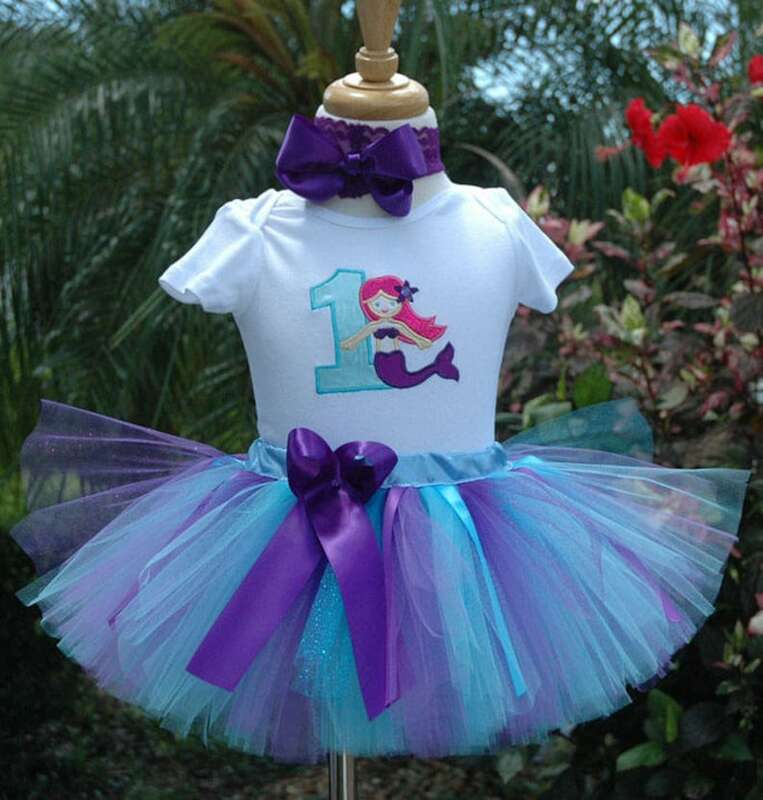 Baby Girl 1st Birthday Mermaid Birthday Tutu Outfit. Personalized with your Baby's name. Ships in about 5 days. Rush orders available. Available for all ages. Tutu is hand cut with lots of tulle. Each piece carefully put together and sewn. Onesie is embroidered. I use satin thread for the beautiful colors on the mermaid. The fabric has been carefully picked to give it the undersea look. Bow is crafted by hand. Purple bow will be sewn to the headband and made by hand. Ships US Postal Service Priority with tracking number. Ship on time,great quality material. Thank you for making my daughter looking gorgeous at her 1st birthday.